Elaine Dunne was holidaying in the Highlands with her husband when she died near John o'Groats. A 93-year-old woman has been charged with causing the death of a cyclist by dangerous driving. Elaine Dunne, 30, was killed in a road accident as she holidayed in the Highlands to celebrate her first wedding anniversary. Her husband Chris was seriously injured in the collision with a car on the A99 road near John o'Groats in Caithness on September 21 last year. The couple had been on a week's camping trip and were cycling back to Wick to catch the night train home after celebrating their first wedding anniversary on September 18. Alice Ross, from Lybster, has been charged with driving her car dangerously and causing the death of the cyclist. 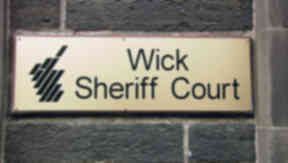 She made no plea when she appeared at Wick Sheriff Court on Wednesday and was released on bail.